Do you know the best approach to accessing valve data within your community? AssetAlly offers a variety of simple, organized ways to obtain your valve data from the field or the office. The following features can help your team save time and energy when using AssetAlly to manage your valve data. If you select the valve icon on your AssetAlly portal page after logging in (pictured below), a search page appears. This includes a "General Search" tab where you can look up a valve by the valve number and/or street name. 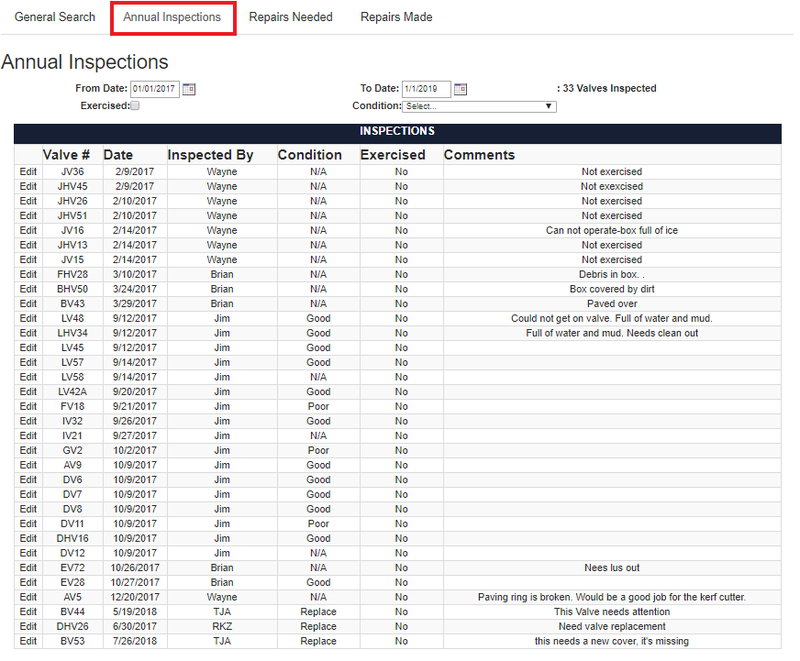 You can also select date ranges to view information under the "Annual Inspections," "Repairs Needed," or "Repairs Made" tabs. 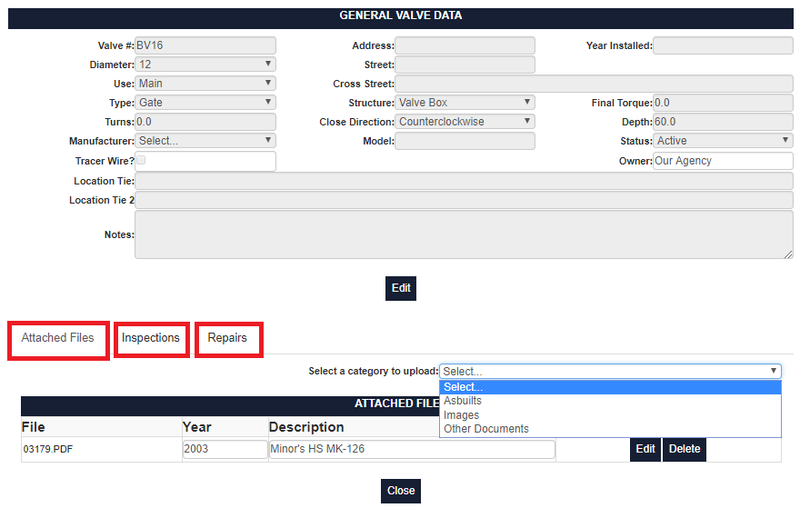 You can also access your data and forms by selecting a valve feature within your GIS viewer. This allows you access to the valve dashboard. The dashboard holds "General Valve Data," "Attached Files" "Inspections," and "Repairs," data. As you can see, there is quite a bit of information that can be linked to one little valve! Stay tuned for more articles in the upcoming weeks on how AssetAlly can help your community easily maintain and access a variety of your community assets. Questions on how AssetAlly can benefit your community? Contact one of our experts today!